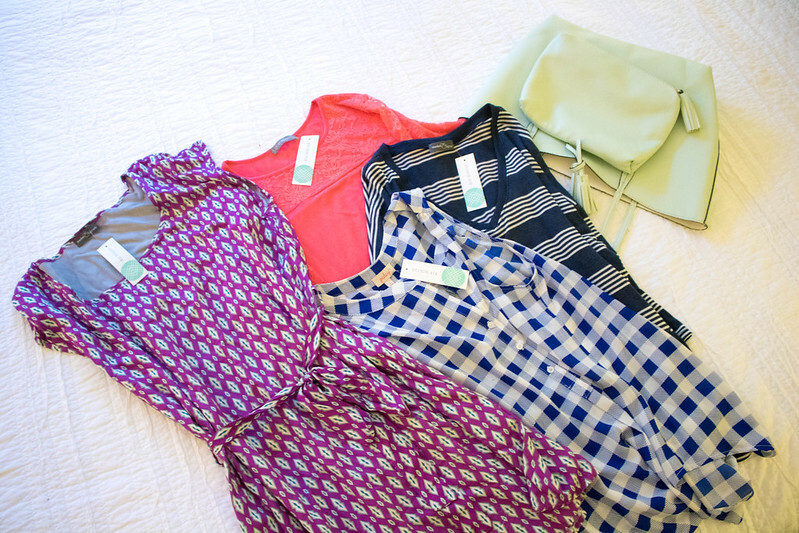 My Stitch Fix box for May showed up last week, so I’ve been trying out all my new pieces this week. I got three tops, a dress, and a new purse, all of which I LOVE! The purse is a light turquoise that came with a smaller bag inside, and it’s perfect for all my everyday items. I wore the dress to a very important meeting on Friday, and one of my clients also got the same one in her Stitch Fix box! Small world! I switched things up so instead of getting a Fix every month, I’m getting it every other month, which is a nice option so I can work it into my budget accordingly. One of the many reasons I love this service. Not only do you get super cute clothes but it’s very budget friendly and you can choose how much or how little you get a Fix. Interested in checking it out? Use my referral code!